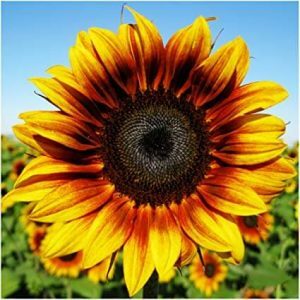 Best Flowers For Aquaponics: Brighten your day! Most people see aquaponics as a fantastic way to put food on the table. After all, crops do grow much faster in an aquaponics system compared to a traditional, soil-based approach. But, you don’t have to grow crops. In fact, with this guide to the best flowers for aquaponics, you can start growing an array of plants today! Flowers are actually a really good choice for aquaponics. 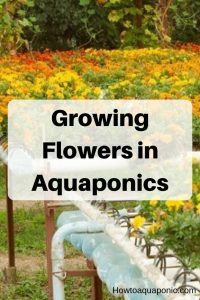 Whether you’re hoping to get aquaponic roses, tulips, dandelions, or just aquaponic flowers in general; growing flowers can be fun and easy. You can even sell the plants, harvest them to make dandelion tea, or sunflower seeds, or simply enjoy their colors; knowing they are safe from weeds and most other pests. Choosing the right flowers to grow can be a difficult decision. However, you can make this process easier by understanding the best flowers for aquaponics combined with your preferred floral delights. With the right conditions, you’ll be able to take a seed and turn it into a plant that is approaching 4 or 5 feet tall! It should be obvious from the name that sunflowers love the sun. This flower will do well inside a greenhouse or outside if you have a warm climate. Sunflowers do need support as they grow which means that either a gravel base or a wicking bed will be the best approach to maximize growth. Tulips are grown from bulbs and mot bulbs don’t like to be submerged in water as this can rot them; ruining your plant growing efforts. However, this is still one of the best flowers for aquaponics, you just need the right approach. Tulips will need to be subjected to temperatures around 40°F for 3-4 weeks as this will help them to root. Of course, this is quite cool for most fish; you’ll need to choose something like arctic char that can accommodate this low temperature. But, you also need to be aware that the longer the rooting period the lower the quality of the flower; aiming for rooting within 2 weeks is a better solution. 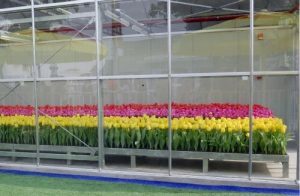 You’ll then face the complication that the bulbs need temperatures of at least 60°F to start sprouting, followed by a temperature of approximately 70°F to start growing the flowers. The best solution is to chill the bulbs in the fridge for 2 weeks, allowing them to start the rooting process, you can then drop them into a flood and drain system with clay pebbles or even river rock, and fish that are tolerant of temperatures between 60°F and 75°F. Roses are a delight at any time of the year and, if harvested in time, could make you a fortune on Valentine’s Day! 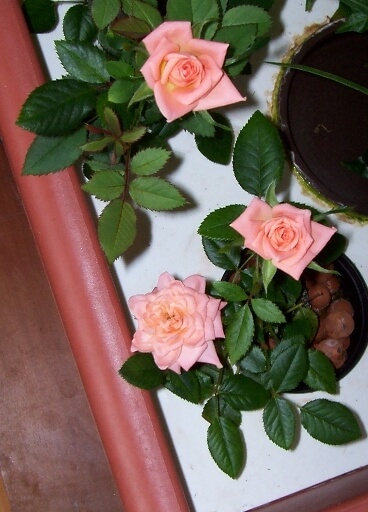 The rose is a hardy flower that will grow exceptionally well in an aquaponics system. But, you’ll need to make sure there is enough nitrogen, phosphorous, and potassium. This will ensure healthy foliage and color development. A standard grow bed approach can work for roses but you may prefer to use the floating raft system; as this has been shown to be very effective. These golden plants have a strong odor which can deter pests. While this is less important in an aquaponics system, it is still a benefit. In addition, the marigolds actually attract the green caterpillars that love to eat your crops; in effect saving your crops. 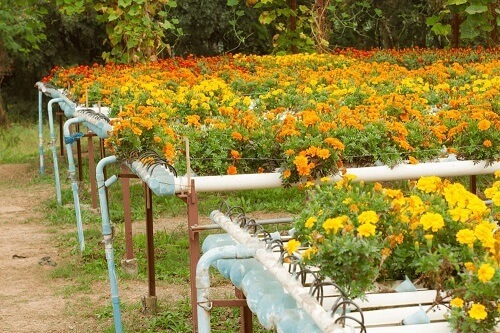 Marigolds are generally not fuzzy plants, capable of growing in virtually any soil; which makes them one of the best flowers for aquaponics as they are colorful and extremely helpful. The water hyacinth is excellent at clearing water and purifying it for your fish. This makes it the perfect accompaniment for fish that are sensitive to water changes. In general, this plant is considered invasive. However, as it is excellent at clearing algae it is a great addition to an aquaponics system; helping to keep the water pure for fish and other plants. The issue you need to be careful of with water hyacinth is that it is fast growing and spreading. You will need to control its growth by using the floating raft system; preventing it from eating the nutrients other plants need and blocking the light to your fish. Aquaponics is a technique you must master before you build your system. Save money with proper education before spending money on materials and stuff you don’t need. The exact temperature of your aquaponics system will depend on the best flowers for aquaponics that you’ve chosen. Warm water encourages root growth. To keep your flowers happy you need to be looking at a temperature between 60°F and 70°F. The air needs to be a little warmer than the water, this will encourage flower growth. Don’t forget they grow towards the sun; you’ll need to make sure they can see the sun in the daytime. Ideally, you’ll be looking for an air temperature of between 70F and 85°F; this will encourage growth without the plants drying out as they have a constant supply of water. Keeping the pH around 7 will help to ensure you have the perfect environment for your fish and the best flowers for aquaponics. It is advisable to keep the pH at 7 or just below, once you start making the water acidic you are likely to damage your plants or the fish. It is always important to change the pH of the water slowly; if you do it too fast the fish will suffer and can even die. The best flowers in aquaponics can add color to any grow bed. But, they can do more than this. We’ve already mentioned their ability to attract pests, keeping them away from crops. They are also effective at attracting bees; which are essential for the pollination of your plants. Most flowers will grow well in a media bed system with clay pebbles. This will maintain the pH for your plants while giving them a strong base for their roots. Of course, you can try the other methods but your decision should really be guided by what, if any, crops you intend to grow. Most of the best flowers for aquaponics can adapt and flourish in any of the media options available.